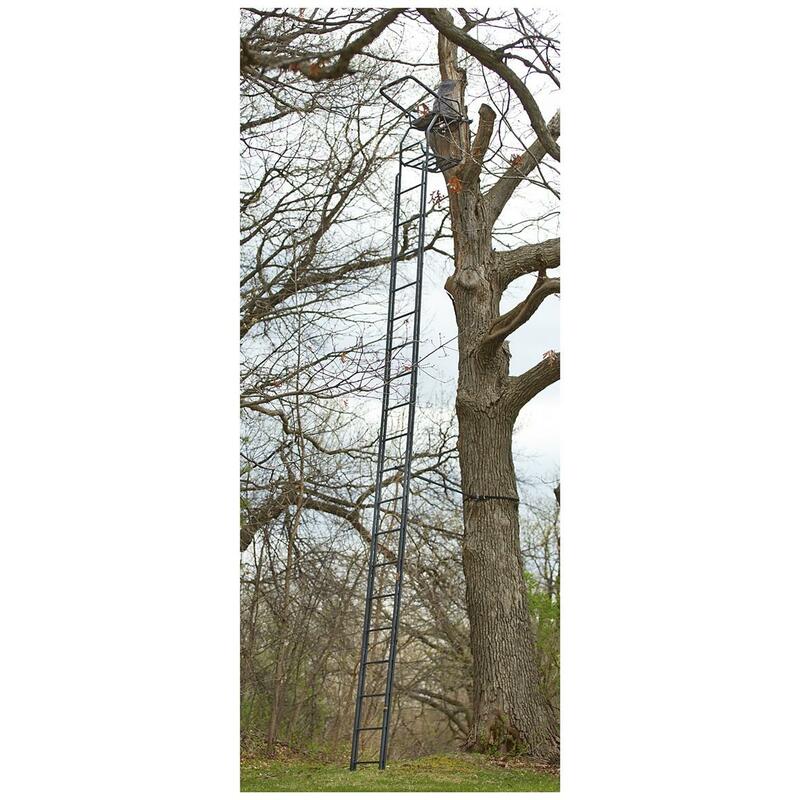 Rise above it all with our Guide Gear® 25' Deluxe Double Rail Ladder Tree Stand. 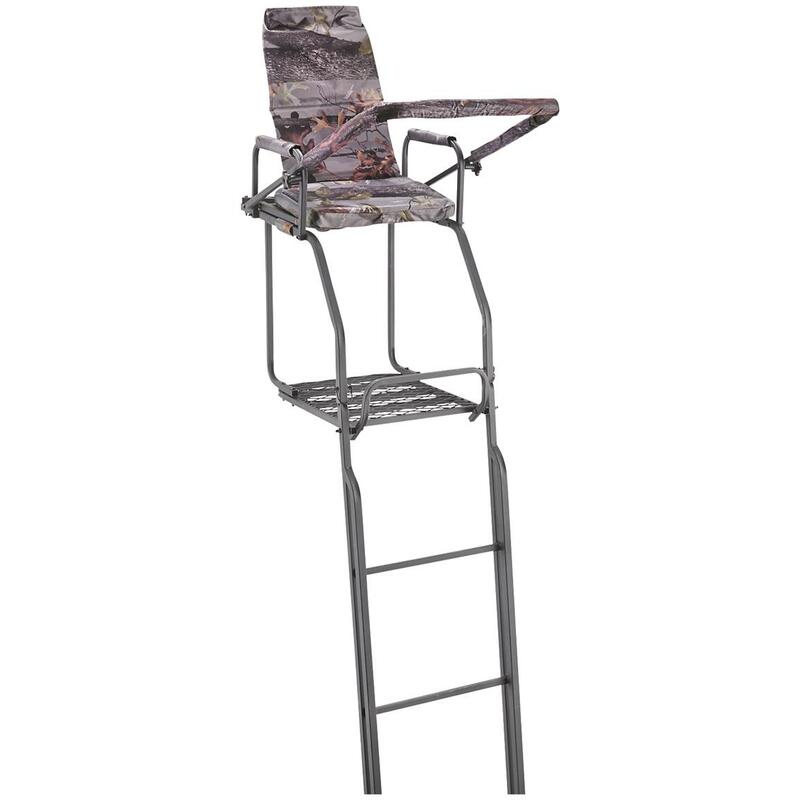 It towers over other rinky-dink tree stands, giving you the ultimate vantage point for nailing trophy whitetails. 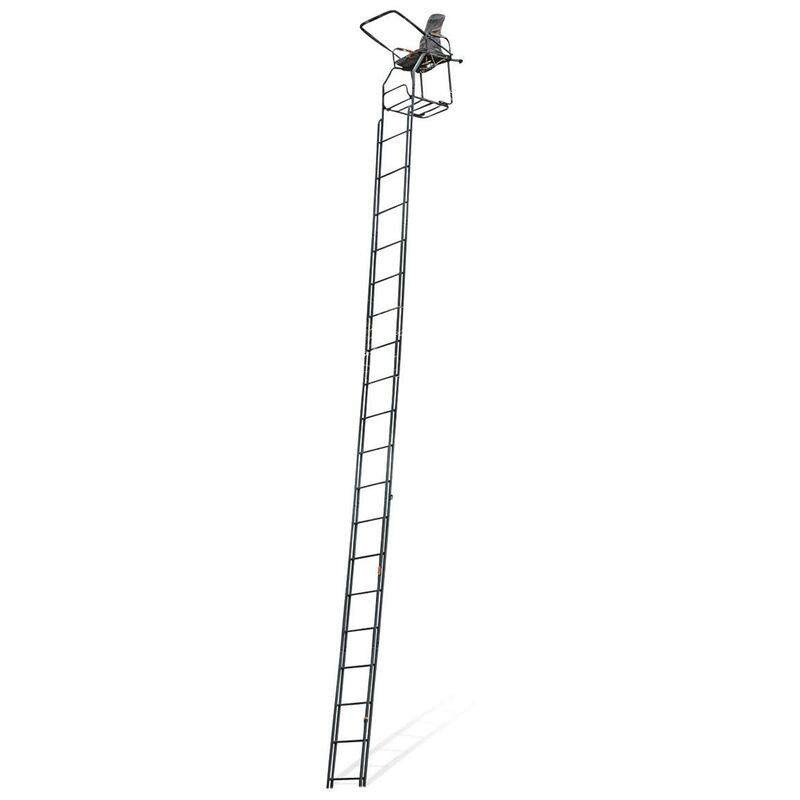 Plus, it's built tough and features a double-rail ladder that provides shake-free, easy climbing. Get the best view of approaching game! Order now! Platform Dimensions: 22.75" x 17.25"
Seat Dimensions: 19.25" x 11.75" x 23"h.
Guide Gear 25 Deluxe Double Rail Ladder Tree Stand is rated 3.8 out of 5 by 44. Rated 5 out of 5 by DPete from Holy Treetops Batman! This thing gets you up there! I have a Guide Gear 20' version and this one is noticibly higher, and more difficult to raise because of it. My son and I put it up but we are both 6'4"+ and 230lbs+. Three people would have made it easier. As others have said the paint job isn't great but some touch ups are usually necessary. 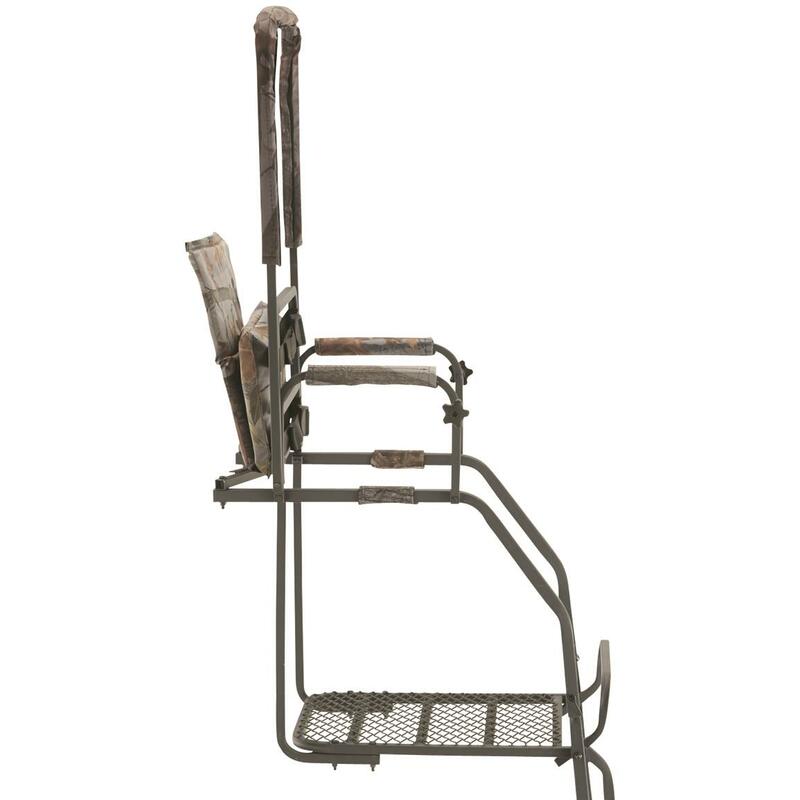 I like the old sling seat system better than the rigid padded seat this one has because the sling seat allowed you to slide it farther from the tree if you wanted to recline a bit more. Loving the height! 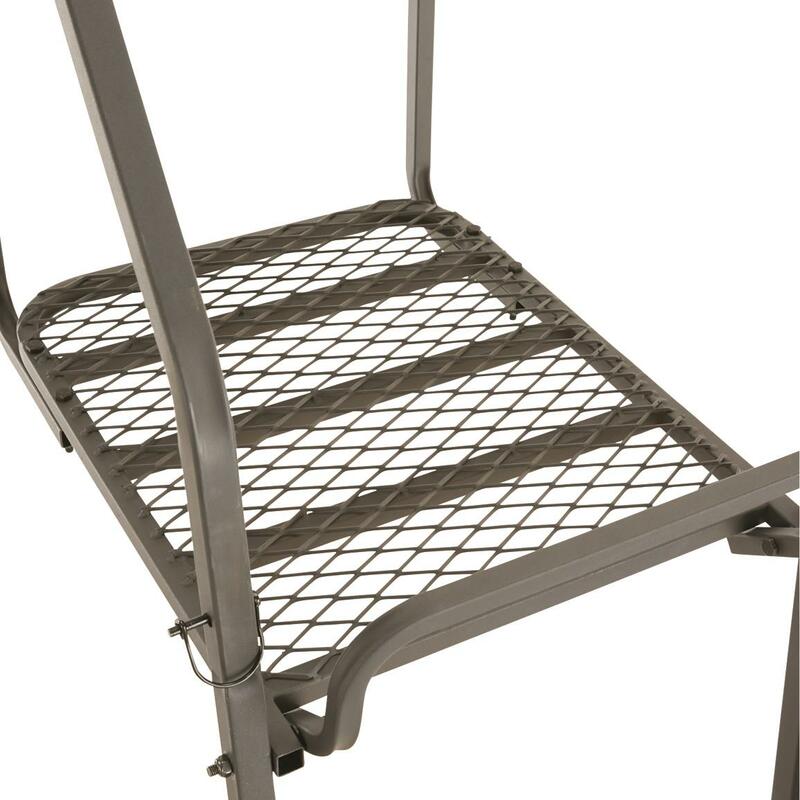 Rated 5 out of 5 by Mike from Great stand great price! Stand came quickly, easy to put together. 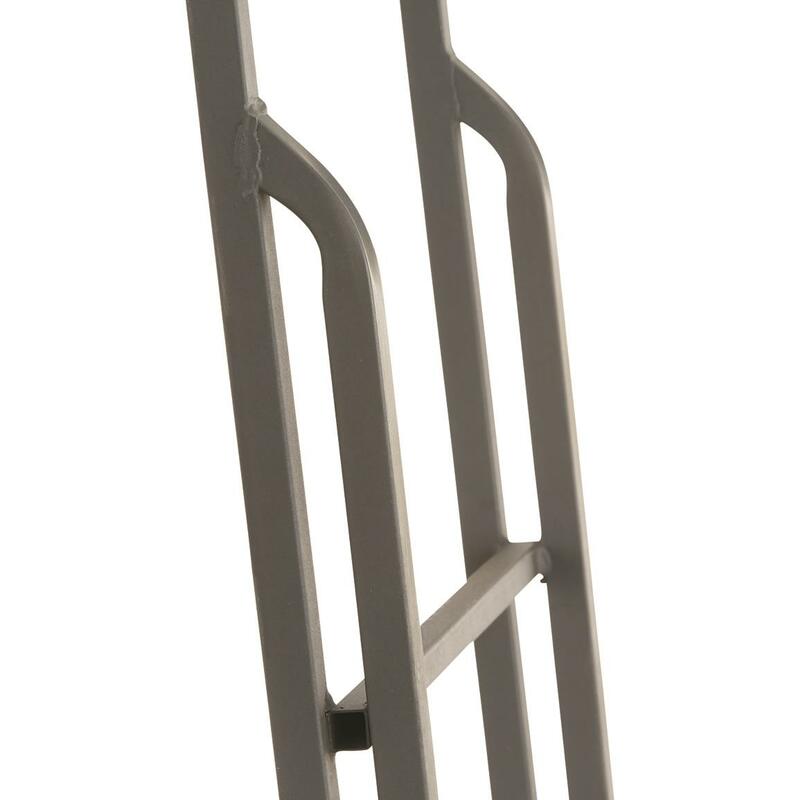 Very sturdy and best of all tall! 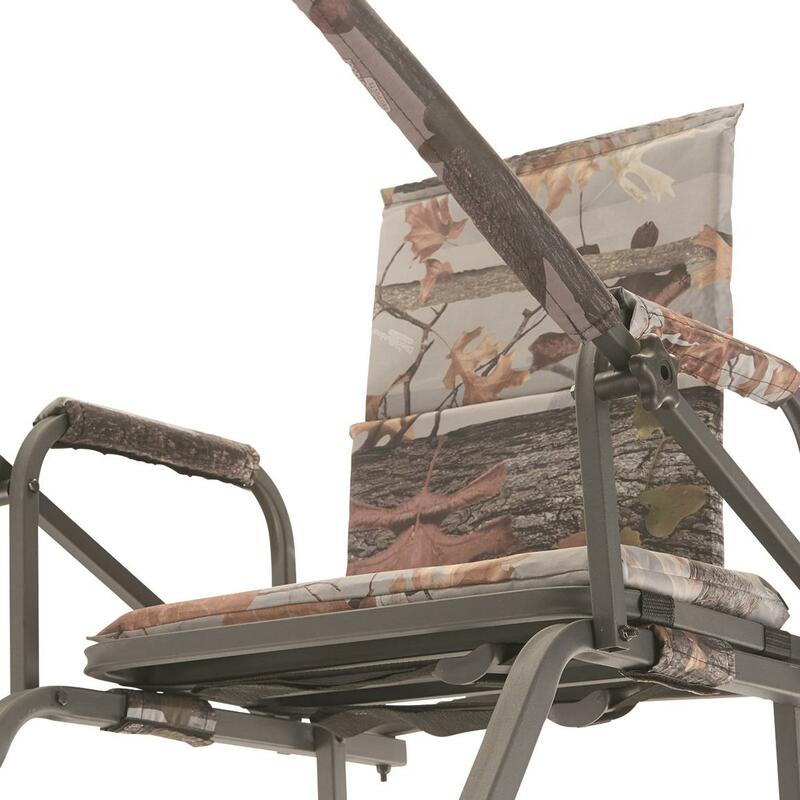 Platform isn't huge but seat flips up which is perfect for bow hunting and giving you enough space. For the price I don't think you can find a better deal. Rated 4 out of 5 by Dave from Buy extra stabilizer bar it’s a long ways up . 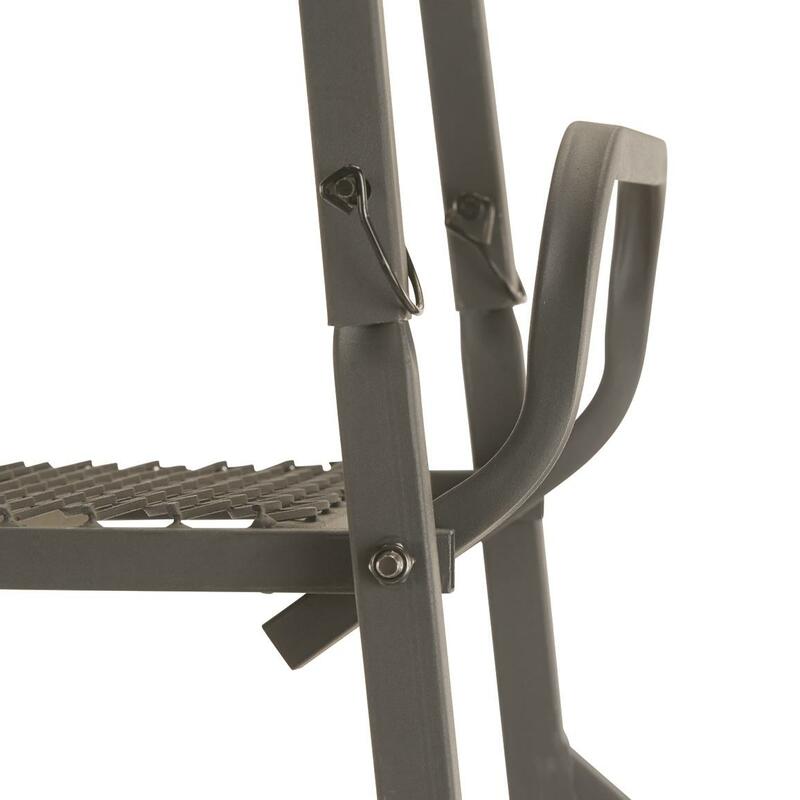 Rated 2 out of 5 by Elliot from Not the best One section of ladder bent during installation. So I now have a 20 foot ladder stand. Rated 3 out of 5 by AJMaine from Quality issues Stand arrived and had a ton of peeling paint all over, also the welds on ladder rings were rusted. Not very good quality at all. 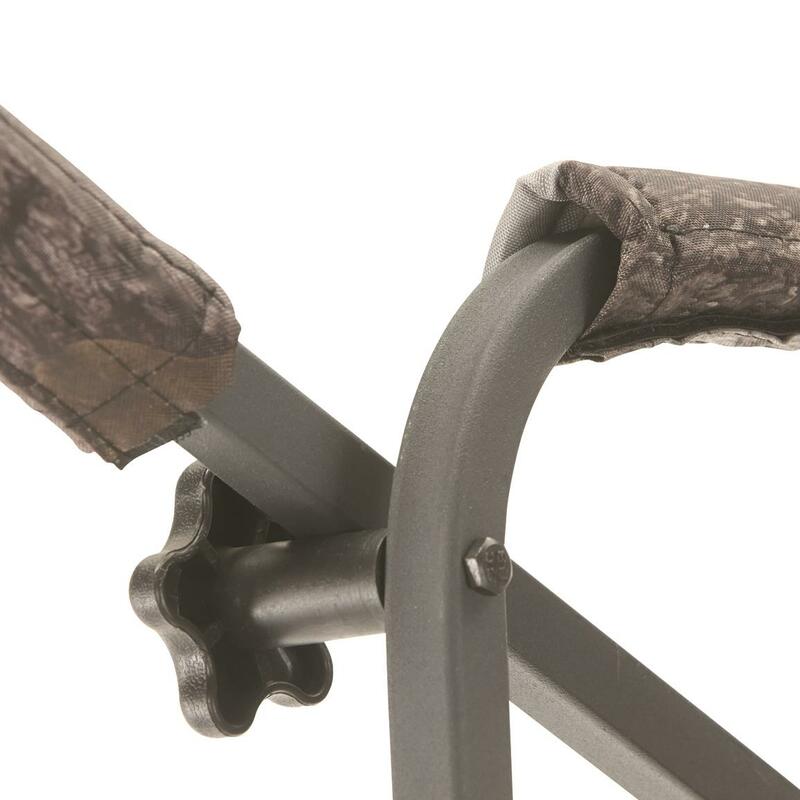 Height adjustable from 31" - 47"
Dead-on accuracy when you need it most. 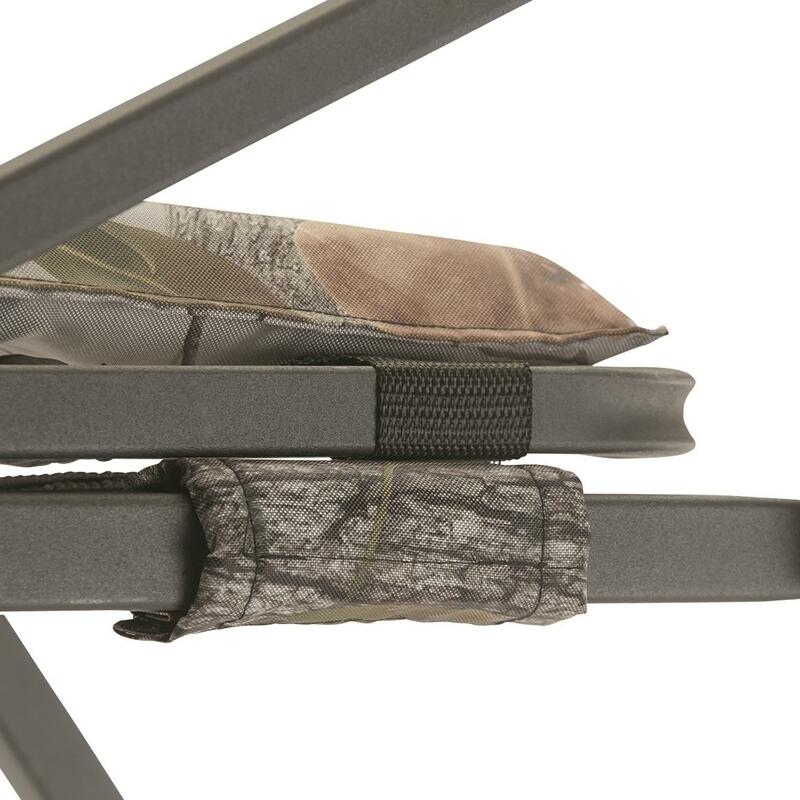 Add a reliable shooting rail for accuracy.